WERID WORLD: Iran’s space agency has bungled its efforts to assure the world that it didn’t send a cute, cuddly monkey on a terrified one-way rocket trip into fiery oblivion. When pictures of the terrified creature strapped into its tiny acceleration couch were made public last week, many space scientists noted that the poor animal probably didn’t make it back to earth alive: Iran has rocket technology – which can also be used for weapons – but no known designs for a re-entry vehicle that could keep its passengers alive. No so, said Iran, which quickly released a second picture, showing what purported to be the healthy animal after its safe return to earth. But the new photo only stirred ridicule on the internet, with people noting the differences between official images of the luckless beast before its take-off and after its landing. 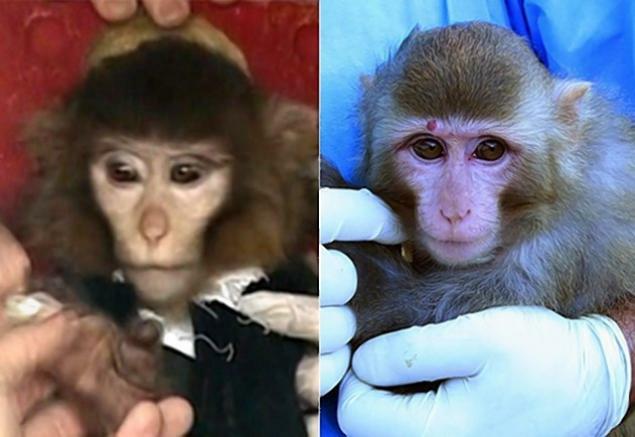 In the first picture, supposedly taken before the launch, the monkey – named Pishgam, the Farsi word for “pioneer” – had light grey fur and a red mole above its right eye. The second photograph, supposedly taken after the launch, shows a monkey with darker fur and no mole. The differences in the images have only heightened suspicions by international observers that the luckless monkey had either died in space, or that the rocket carrying it had crashed. But an Iranian space officials has now claimed that one of the two photos shows “the wrong monkey” – but that Iran really did send a monkey into space and return it safely to earth.